Every week, without fail, Mollie Frish receives roses from her husband of 35 years. 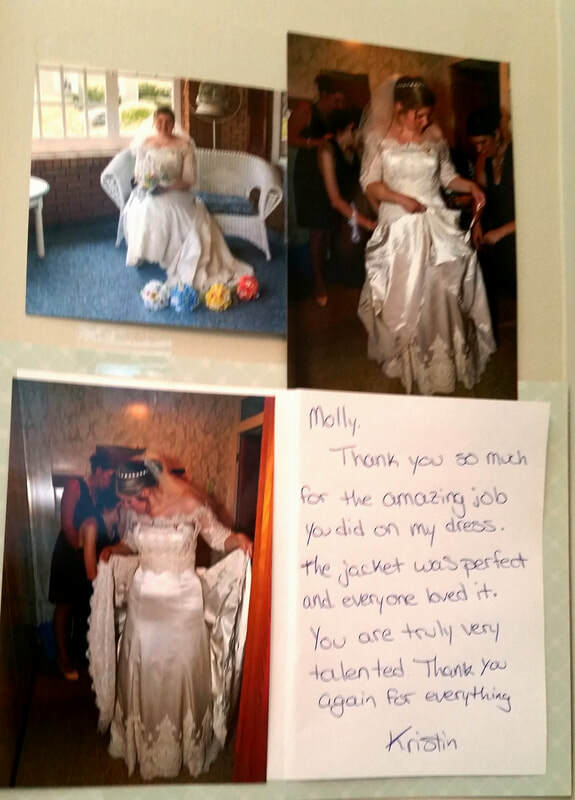 It is just one reason that Mollie has been able to keep alive for herself that special feeling when one is a bride. 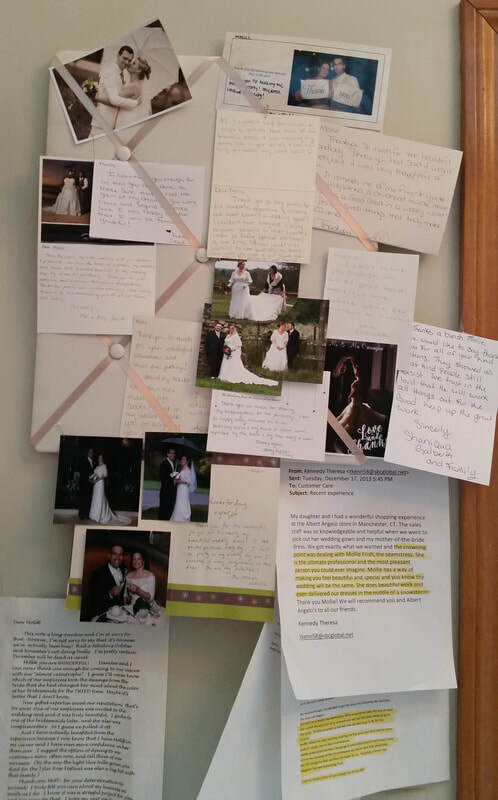 With the blessing of a wonderful marriage, Mollie is driven to wish that same feeling for every bride she meets. It is with this focus on the bride that Mollie goes beyond the task of altering the gown. 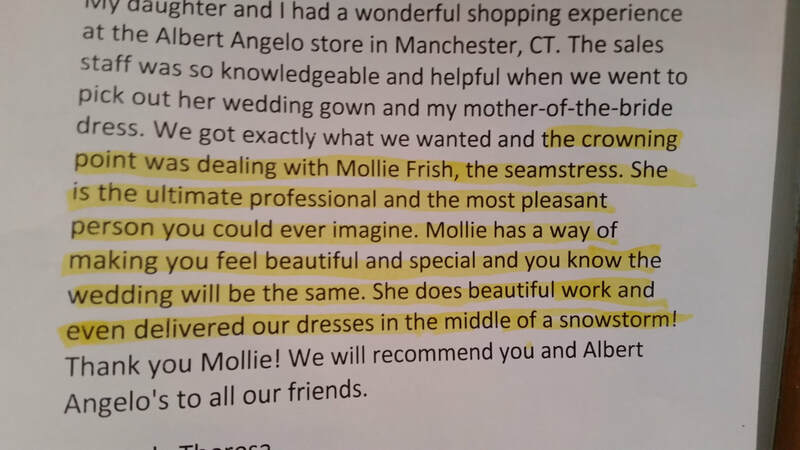 She matches her high standards of stitchery with an emphasis on creating a worry free and stress free experience in making the gowns perfect for brides, bridal party, mothers of the bride, and fine formal wear.